Application of human rights principles, when taken with necessary responsibilities, could play a major role in national reconciliation, but not limited to that. Human rights have a broader meaning and value when applied in a progressive and a realistic manner to improve not only people’s civil and political rights but also economic, social and cultural rights. This kind of a general upliftment of human rights across ethnic, religious, regional, class or gender distinctions can immensely contribute to the goal of national reconciliation. When people have recognized rights, it is the duty of the government and the office holders (i.e. duty bearers) to fulfil them, while the people themselves should exercise these rights with responsibility. In the immediate context, the holding of provincial council elections without delay is a must to ensure people’s fundamental rights to elect their representatives (not ‘rulers’ as some people define!) to the provincial councils. This is most important in the case of the Northern and the Eastern provinces. Otherwise, what is the point of devolution, provincial councils and the talk about reconciliation? Sri Lanka is a representative democracy (Preamble to the Constitution); presently at three levels of national, provincial and local. According to Article 3 of the Constitution, “In the Republic of Sri Lanka sovereignty is in the People and is inalienable. Sovereignty includes the powers of government, fundamental rights and the franchise.” Therefore, franchise is most fundamental to people’s sovereignty, apart from government and fundamental rights. 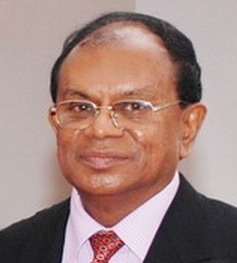 Article 21 of the Universal Declaration of Human Rights (UDHR) says “Everyone has the right to take part in the government of his country, directly or through freely chosen representatives.” When it says ‘in the government, it means the government at various levels and the level of the province is most important in terms of devolution at present in Sri Lanka. Not holding elections to the provincial councils is a violation of all these norms and principles by the UNF government. If there were ambiguities or differences about the electoral system, and the law pertaining to holding elections, four years since the assumption of government in January 2015, even without a proper majority at the beginning, is a fair enough time to sort out these matters. Not doing so is either utter incompetence or callous disregard for democracy and will of the people. The term of the Northern Provincial Council expired in September 2018. Now what you have is direct Governor’s rule however mild it could be. The last provincial council, C. V. Wigneswaran as the Chief Minister, was the only elected council for the province, for the last 32 years. When the first elections for the council was about to be held in September 2013, Lisa Curtis of The Heritage Foundation said the following. One may consider the statement to be too optimistic, but there was a significant truth in it. It is strange that the UN Human Rights Council or its High Commissioner has not noticed this aberration of human rights by not holding elections for the Northern Provincial Council for the last six months. Even a minister like Mangala Samaraweera, who pretend to be a champion of human rights, is mum about the matter. Much worse is the case of the Eastern Provincial Council which had lapsed since September 2017, now for 18 months. Holding of elections for all other provincial councils is of similar importance because voting and elections are most treasured in people’s political rights. It is important for reconciliation itself as Lisa Curtis hoped. The appreciation of devolution of power by the people in the South largely hinges on what they also receive as devolution. The considerable change of position on devolution by the JVP and certain sections of the SLFP depended largely on this factor. They opposed devolution at its introduction in 1987. Not holding elections, arbitrarily fixing them, or postponing them can have major repercussions on political frustration, emergence of rebellion, conflicts and violence. Even the local government elections that were finally held in February 2018 were conducted only after 7 years to majority of the councils (322). Usual term of a local government institution is 4 years with the possibility of extending up to one year. The previous elections to these councils were held in 2011, and the terms expired in March 2015. Although the terms were extended to May 2015, since then all these were dissolved or dismantled. People in these areas were without local councils or peoples’ representatives for nearly two years or 21 months. That was a major reason why the voters rebelled against the incumbent government, and its allies, and overwhelming supported a reconstituted new political party, Sri Lanka People’s Front (SLPP), although under discredited old leaders. Similar political trends could be seen even in the North, going against the establishment and established political parties at the same elections. The situation in the North was more damaging than in the South without holding elections to local councils for a very long period of time. A major reason undoubtedly was the war situation, but even after that, for example, local elections were not held in the Mullaitivu district in 2011. Therefore by February 2018, the vacuum was so vast. When we look further back, not holding local government elections between 1977 and 1987, the ambiguous experiments of District Development Councils (DDC) coming in between, had major repercussions on the alienation, frustration and disillusionment of minority communities and the youth. More disastrous and despicable were the rigging of the DDC elections in Jaffna and burning of the Jaffna Library in 1981. It is true that populist parties can utilize election processes to consolidate their political powers as we could witness from the Rajapaksa government during 2005 and 2015. This happens particularly when the other political parties are backward, lethargic or out of touch with the people. This is also not a reason for those parties to postpone or not holding elections when they come into power. Unfortunately, this is exactly the situation at present. Polarization on ethnic or religious lines also could happen under such circumstances, extreme political rhetoric and programmes gaining currency. Holding of elections to the provincial councils without delay is a must for national reconciliation and ensuring the most important political right of the people in general and all over the country. If not, more polarization could be seen in the coming period and particularly at the unavoidable presidential elections by the end of the year. There is no doubt that the present government has taken some important measures and steps towards national reconciliation in terms of addressing the past. (1) Release of the private land held by the military during the war to the original owners, (2) the establishment of the Office of the Missing Persons, and (3) the recent establishment of the Office on Reparation could be considered the most important three measures. However, addressing the current and the present requirements for reconciliation is also important. A draft on Counter-Terrorism Act is also now submitted to replace the existing Prevention of Terrorism Act (1978). There are serious concerns however that in certain areas, the proposed legislation could be more draconian than the existing one. If that is the case, it is a serious human rights issue that should be addressed. A concept paper has also been submitted to the Cabinet on a bill to establish a Truth and Reconciliation Commission, the content of which is not yet known. It has to be admitted that even the previous government also took some measures, within their own point of view, in addressing some of the issues of the war affected and addressing the past. ‘Rehabilitation, Resettlement and Reconstruction’ or the three ‘R’s as they said were some of their pet topics. The Lessons Learnt and Reconciliation Commission (LLRC) was appointed within one year after the end of the war and the report was submitted within 18 months thereafter. But the implementation of the LLRC recommendations was terribly slow or hesitant. The present government is also slow although it has gone quite faithfully in line with the ‘international community’ in selecting measures and in implementing them. Most controversial has been the co-sponsoring of all the resolutions submitted in the UNHRC since the most questionable resolution 30/1 in October 2015 drafted by the US. The question is whether the above line of strategy would facilitate reconciliation in the country or trigger more controversies, if not future conflicts? Slow implementation or vacillations have already frustrated many sections of the Tamil community. Some are undoubtedly asking for the ‘pound of flesh.’ It is almost 10 years since the end of the war. What we have seen recently at UNHRC is the second rollover. There is also a strong opinion that the UNHRC resolutions are more of ‘black mailing’ a strategically important small country than genuinely addressing human rights or reconciliation issues. It could be a combination of both. There is an apparent alignment between certain sections of the present government and those who execute this international strategy. A clear slant of all of them is a thrust against the previous government or the present opposition. But to any independent observer, reconciliation requires the participation of all stakeholders, representatives of all communities, and political parties. Otherwise, it is not going to be sustainable. A major mistake of this government in their reconciliation strategy has been the side-lining of the representatives of the last government or the Joint Opposition. As we have argued from the beginning, most important at present is the holding of provincial council elections without any further delay. Lasantha's Daughter Sues Gota In LA; "Mr Nandasena, Here Are The Summons"
Prof Laksiri Fernando in first paragraph, “Human rights have a broader meaning and value when applied in a progressive and a realistic manner to improve not only people’s civil and political rights but also economic, social and cultural rights”. Human rights is universal. This ‘cultural rights’ must be treated elsewhere. Lisa overlooked that the election was to distract the ‘roasting’ expected at the November 2013 CHOGM held in Colombo. The then NP Governor, Rtd Maj Gen G A Chandrasiri, with the then GoSL acquiescence, interfered in the minute to minute running of the NP Council down to ‘army observers at weddings, funerals and even undergrad lectures! Can there be reconciliation when SLPP says ‘reconciliation’ will lead to separation and is unpatriotic? One wonders as to the purpose of the tears regarding N&E PC elections. Withholding police and land powers devolved in the constitution is a worse form of violation of human rights and a non-starter for reconciliation. For reconciliation justice has to be meted out to Tamils and for human rights there should be freedom of expression and movement for Tamils. Why cultural rights must be treated elsewhere? You may have a point, if you mean that cultural rights do not fit well, theoretically, with economic and social rights. I have held that view in my writings and teachings. However, that is how they are ‘universally’ bundled, to mean in the International Covenant on Economic, Social and Cultural Rights (ICESCR). Perhaps you don’t mean that. I do remember that previously you expressed a dissenting point of view when I said that ‘in the application of international human rights’ social, economic, and cultural conditions should be taken into account. However, those are two matters. There you had a more valid point, if my phrasing meant or misunderstood as ‘cultural relativism.’ To me cultural rights are important to all communities and particularly to minority communities. However, majority communities also claim both traditional and modern cultural rights which cannot be ignored. The ICESCR is unfortunately inadequate in elaborating cultural rights although it says, among other things, that ‘everyone has a right to take part in cultural life.’ This means their own cultural life. The right to language or mother tongue is a basic right. The Sinhala only act in 1956 violated this principle apart from equality. It was the same before when English was the official language. The right to wear Abaya, for example, is both a religious right and a cultural right. The principles of multiculturalism emanates from cultural rights. Of course you have raised other points. I just take them as your opinion whether with some validity or not in some points. I call you Mr, correct or not, as you call me Prof. Otherwise I prefer just first name or surname. Let the US Tax man check whether he being a alien card holder had being paying due taxes in USA. Thereafter we can have the General elections. 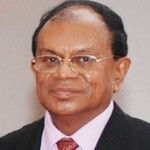 Sri lankan elections are against the article 21. We do not have freely or directly chosen representatives. What we have are those selected through the party constitution and the party dictatorship. they give the Organizer ticket and ask us saying “there may be drug addicts, Criminals, Money launderers, Kasippu mudalalis” be careful when you vote. We recycle the same gang of Criminals, Fraudsters and Professional corrupts. what a democracy we have. Reconciliation,, LTTE, Devolution are all these comes since 1910. Even with the 13th amendment half filled, what ever RELEASED LANDS THEY SELL AMONG TOBACCO FARMERS AND DALITS DO NOT HAVE ANYTHING. AS sson as they have something Tamils like the South even when their masters say Sinhala people are Tamil-killers. Besides, out agreement is give to Local political solution that make every community happy and not either India alone, International community alone, LTTE rump living overseas or TNA – Rajaoththama Christians ‘Happy. Now we have local councils. why don’t we make that system fitting to every Tamil. Mahinda Rajapakse should have done that. but he was dithering. He could have easily done it. Now, help Arun like people against TNA. Even Kumar Vadiwel and Indian Tamil -or Estate Tamil politician Thondaman is exploiting dirt poor Estate Tamils. I heard 2017 alone Kumar Vadiwel collected Rs 22 million as Trade union fees.. The other Tamil’s Whose father and Grand father bought lands in Tamilnadu had collected Rs 47 million. A kilinochchi politicians had earned Rs 45 million by selling his Car permit for the Super Luxury car. This country is full of unethical politicians who want only the power. They talk about democracy when they see some advantages to them. This Government cannot see elections as the main pillar of the democracy as elections mean loss of power to them. We must come forward to defeat these politicians who think the masses are asses. Thank you Laksiri for coming forward to talk about it. Previous govt promised Tamils to give a political solution. Caste issues disturb giving a political solution. So, the govt promised a local solution. so, improve upon local councils let the different castes also come up the social ladder. Remove Provincial councils.